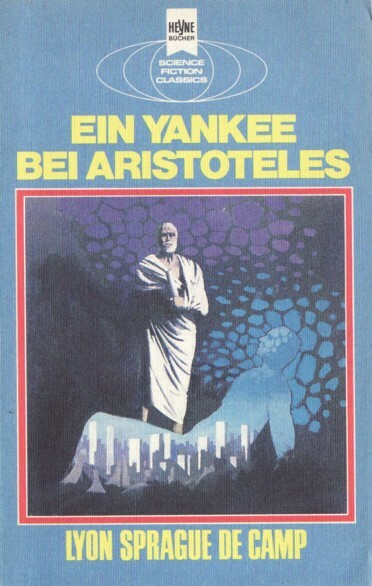 First German edition ("Deutsche Erstveröffentlichung" is stated on the title page). First part of the collection "A Gun for Dinosaur and Other Imaginative Tales". The copyright is assigned for the year 1963 to the author. The copyright of the translation is assigned for the year 1980 to the publisher. Labeled as 'Science Fiction Classics'. Editor: Wolfgang Jeschke (as E. Senftbauer). "Printed in Germany 1980" is stated on the copyright page. Month of publication from S.F. Perry Rhodan Magazin, April 1980. The last page of the final item (p. 208) is unnumbered. The cover design is credited to Atelier Heinrichs.